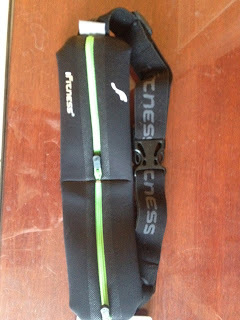 I was recently given the opportunity to try out an iFitness (as of August 2013, Fitletic) belt for running. I have tried several different belts, and never found one I was happy with. One held 2 full bottles in the back, I bought this when I was a newbie runner and thought it would be great to have all that water. Not so much… it just bounced around and the belt was all over the place. My next option, was small, so didn’t hold everything I needed on long training runs or a half marathon. To make it worse, it would not stay put. When trying to run a half marathon, having to rearrange your belt all the time is extremely frustrating. I had emailed with and met the wonderful staff at iFitness at the San Francisco Half Marathon. I knew a couple friends that had the iFitness belt and raved about it. So, they offered to send me one to try out. They sent me the double pouch based on what I normally carry with me, that has toggles I can attach to hold the race bibs. (and it has a green zipper, need I say more?) At first look, I could tell this belt would be different. The wide belt was made of a thick elastic and was sturdy. The two pouches were large enough for my iPhone and had a small key pouch. With 2 pouches, if I don’t put my phone in one there is a ton of room for fueling options, without it getting bulky. Since I had no races in the immediate future, I decided to wear this on all my training runs even the short distances to really get a feel for this with different levels of items in the belt. This belt did it’s job and then some. Once I found the best position for it on my body, it stayed put the entire run. The pouches were easy enough to open up while running to get things in and out of them. I actually lost my armband for my phone/running app so was able to put the phone in a pouch and run my headphones up. Still worked great. It can take a couple tries/adjustments to figure out the best fit/place for it on you. I am curvy, so I wear mine below my hips with the pouches just below my bladder (less pressure there when running the better) and it stays put. I pull it snug and have had no issues. I love that if I choose to, I can add on water bottles for race days. I love that it doesn’t move. I love the ease of opening the pouches while moving. The toggles for race bibs is a great addition as well. 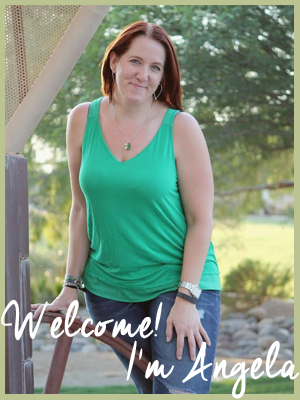 If you are looking for a belt, or have had many and just not found the perfect one… try iFitness. They have some that have gel holders on the belt, single pouches, and the water belt add-ons. You can find them on their website, Facebook, and Twitter. If you do let me know! Thanks iFitness for a great running belt!! *Although I received this product for this review, the opinions are mine and not influenced by iFitness.